What’s your online persona and how do you interact with folks online? What’s the best way to broaden your reach to effectively make an impact for the animals? As a part of Twin Cities VegWeek (April 7–13), learn about effective online activism at our communications workshop. Coco and Lala host the popular vegan/vegetarian Facebook cooking show, Keeping up with Coco & Lala, a show with over 10K followers. They keep their audience laughing while teaching them how to eat more plant-based foods. Coco & Lala are also radio personalities of the HOTTEST vegan/vegetarian radio talk show in the country. They love conducting cooking demos in the community and showcasing others trying to make a difference. In addition to their shows, you can catch them hosting red carpets, emceeing events, and conducting cooking demos. 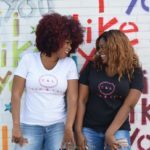 You can watch their show on Facebook live every Thursday at 1:30 pm CST on Keeping up with Coco & Lala and tune in to hear their radio show live every Wednesday at 4:00 pm CST online at www.theicemn.org. You can also follow them on Instagram @realcocoandlala. Jodi Gruhn is passionate about a multitude of things, but critically important is working to evangelize the benefits of a plant-based lifestyle. She’s worked to raise the profile of local plant-based eateries and initiatives and lead social media efforts for Twin Cities Veg Fest in 2018. As Media Director for Switch4Good, a coalition made up of dairy-free athletes, trainers, doctors, nutritionists and influencers, she continues to fulfill her commitment to this cause. 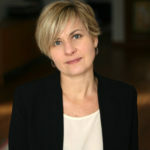 Born, raised and “stayed” in Minnesota, Jodi Gruhn attended the University of Minnesota earning a degree in Women’s Studies and Sociology and later completed her MBA at the University of St. Thomas. She lives in South Minneapolis with her husband, two boys and a “Bug”, named Mabel. Justin Leaf is a performance artist, ballet teacher, and vegan cookbook author based in Minneapolis. 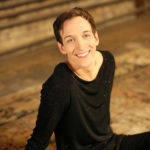 Justin graduated from the Juilliard School with a BFA in Dance Performance in 2001 and was a leading dancer with James Sewell Ballet and Minnesota Dance Theatre. From 2014 to 2018, he served as Communications & Events Coordinator for Compassionate Action for Animals, where he managed all digital and print media to reflect CAA’s core values and strategy for animal advocacy. Since 2006, Justin has presented more than two dozen cabaret shows using popular song as a catalyst for storytelling, often through the persona of Mistress Ginger. Also as Mistress Ginger, Justin authored Mistress Ginger Cooks! : Everyday Vegan Food for Everyone, published by Book Publishing Company in 2014. He has received the 2001 Zaraspe Prize for Outstanding Choreography, a 2007 Minnesota SAGE Award for Best Performance, a 2009 McKnight Fellowship for Dancers, and a 2014 Next Step Fund Grant. For more information about Justin‘s work, visit justinleaf.com. Casey Muir-Taylor is the social media and website manager at J. Selby’s. Five years ago he went vegan for the animals and discovered his love for cooking plant-based and creating recipes. 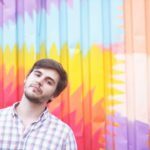 He ran a vegan food blog for two years called Two City Vegans and realized how powerful delicious food can be in getting others to think about veganism. In August 2016 he was contacted by Matt Clayton, owner of J. Selby’s, to create and run the social media accounts and website for the restaurant and he’s been with them since. He has a degree in English and Creative Writing from Birmingham-Southern College and currently lives in Saint Paul. This is a free event. Please RSVP on the Facebook event page and invite your friends! If you’re interested in volunteering for this event, please contact Emily Nyberg at emily@exploreveg.org.